When asked to conjure an image of the prairie, most people picture an endless sea of grass, as far as the eye can see. In actuality, the tallgrass prairie was punctuated by groves of trees such as Quercus macrocarpa, or bur oak. The groves existed in eastern transitional zones, from forest to pure tallgrass prairie. This “pioneer” species typically took hold in areas that provided more moisture than further west, areas such as lowlands and streambanks. The bur oak in particular was able to survive the wildfires common to the prairies due to a number of adaptations. These trees feature tough, corky bark that is able to withstand the immense heat and pressure of prairie fires. The species also leafs out later in spring than other trees, protecting its new growth from flames. Even leaves themselves feature a particularly tough underside that is also fire resistant. Finally, bur oaks grow a single deep taproot initially, which allows them to tolerate drought and also gives them a better chance of surviving a wildfire. 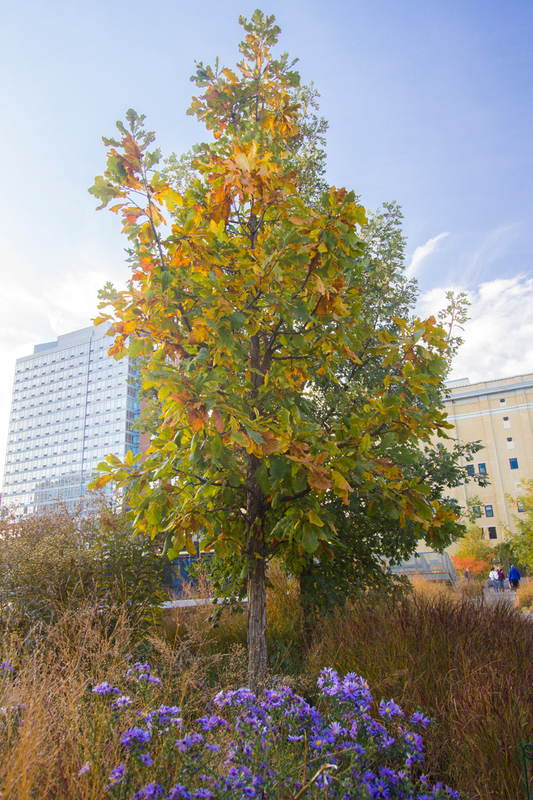 In the shallow soil of the High Line, the deep taproot of the bur oak is most likely stunted. Instead, the roots probably stretch further horizontally, and did so sooner. While bur oaks are one of the larger oaks found in North America, we anticipate that growth of our oaks will be stunted due to lack of soil depth. To care for our oaks in our extreme conditions, we give them compost multiple times a year and our resident arborist prunes them in a way to mind the heavy winds in the park. You can find a collection of six bur oaks on the southern end of the Chelsea Grasslands between West 18th and West 19th Streets. Quercus macrocarpa is slow growing, but becomes massive with age. 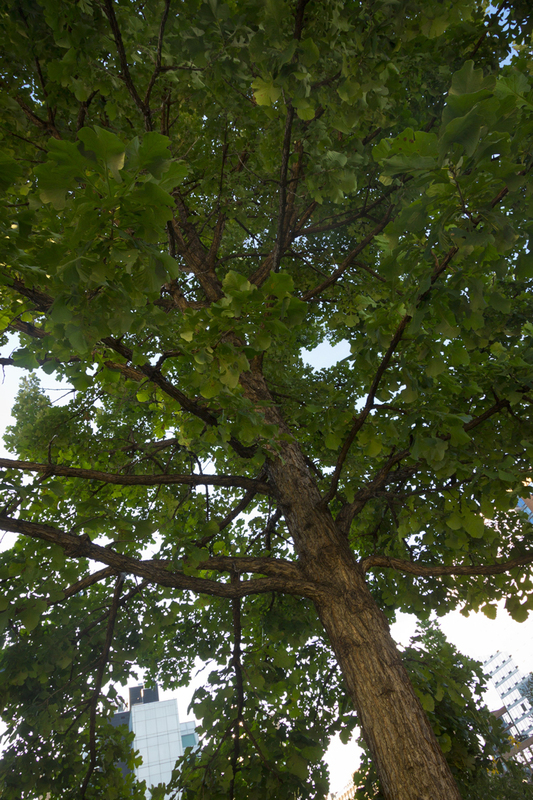 If you do have adequate space for the bur oak, it is a good shade tree, with a pleasing crown shape, stoic structure, interesting corky bark and wooly acorns.